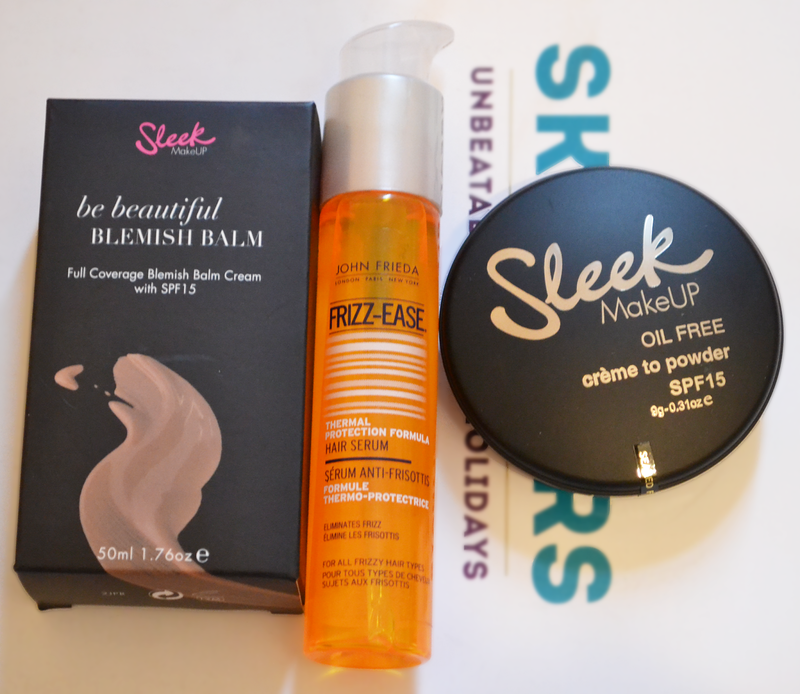 Sleek Make Up's Blemish Balm Cream. John Frieda's Fizz-Ease - thermal protection formula. Sleek Make Up's crème to powder. I topped up on a few everyday essentials, I have used all these products before and they are brilliant. Especially, the Fizz-Ease it's pretty good and taming the hair and smells really lovely. It has taken me a long time to find a heat protection product that doesn't dry out your hair and leaves it smelling awful.